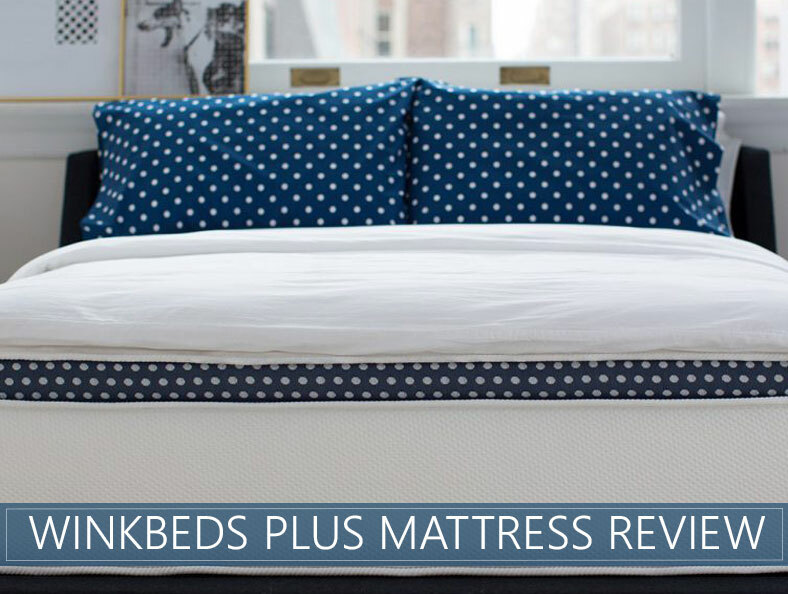 WinkBeds Plus Mattress Review for 2019 - A Bed For Heavier Folks? WinkBed Plus is the first mattress company to create a luxury bed specifically designed for people over 300 pounds. It is an impressive option that caters exceptionally well to heavier people. The brand is passionate about changing the mattress industry. Their direct-to-consumer model cuts out middlemen and overhead to save buyers money. In fact, the company claims to save customers two-thirds of the price of comparable in-store brands. This in-depth review of WinkBed Plus is based on our scoring process that includes items such as quality, support, and value. Keep reading to discover why this product excels for heavier individuals, or skip to see our summary and overall score. Are a heavier individual – This mattress is tailor-made for heavier type of sleeper, from the foam densities to supportive construction. It is designed to not sag over time, which is a risk for other brands. Need pressure relief and support – While many brands cater to either pressure relief or support, this bed does both with its hybrid design. Want temperature regulation – Not only is the coil structure conducive to airflow, but the company offers a base with coolControl™ technology. Set your ideal temperature before going to sleep and enjoy it all night. Are lightweight – If you are a lighter weight individual, you may find this bed slightly firm for your needs (you can check out our favorite picks for 2019 in that case). However, WinkBeds has three other levels (Softer, Luxury Firm, and Firmer) to choose from. WinkBed is a hybrid mattress made from foam, latex, and innersprings. It is compressed in a box like many online brands. A platform or slatted bed frame is recommended for its base. Totaling 14.5 inches in height, it is 33% thicker than most beds sold online. Its high-quality, handcrafted construction is first visible on its cover, which is made of breathable Tencel. Tencel is an eco-friendly material made from Eucalyptus trees that wicks away moisture. Not only is the cover functional, but it has a luxurious look with tufting and a polka-dotted section around the side. Made with durable quality materials, the Plus helps give users a great night’s sleep. The first layer is made of a 1-inch proprietary hypersoft and gel foam blend that contours to the body. It provides cooling, as well as comfort and pressure relief. The second layer is 2.5 inches of latex foam, which adds bounce and a greater level of responsiveness. While the construction of their Plus and Luxury Firm mattress are similar, the Luxury Firm uses microcoils in this layer. Using latex will promote long-lasting durability for heavier individuals. Beneath the comfort layers is a triple-zone pocketed coil system. This gives support where it is needed most, in the hips and the middle region. Tempered springs help with durability. Encasing the bed is a thick high-density foam to provide quality edge support. This mattress is designed to be used with an optional active cooling base that utilizes the company’s coolControl™ technology. The base conditions air and filters it through the mattress to keep sleepers at a regulated temperature. The temperature is adjustable on each side, which means it works well for couples who have different preferences. When looking for a mattress, the firmness and feel are important. A medium-level firmness will appeal to the majority of individuals. 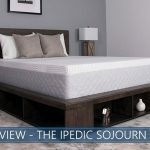 While we are reviewing the Plus (see all our reviews), it should be noted that the brand has three other options that consist of their Softer, Luxury Firm, and Firmer models. 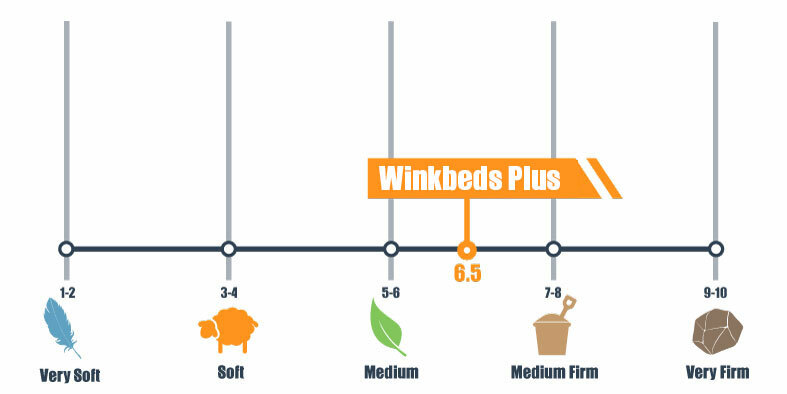 WinkBed Plus is a 6.5 out of 10 on our firmness scale, where 10 is the firmest. The Plus feels almost identical to their popular Luxury Firm model. While there is a comfort layer, you should not feel stuck or unable to move around easily. This is in part because the spring layer provides a quick responsiveness. There is much more bounce than an all-foam bed, which is to be expected from this hybrid construction. The first impression when pressing down is the soft, luxurious cover. This is quickly followed by the firmness of the coil layer underneath. This combination of soft and firm works well together to provide support and comfort without feeling an abrupt transition between layers. Due to the construction of the Plus, it will accommodate a wide range of sleeping positions. Back sleepers will benefit from the firm support of the innersprings. They shouldn't feel absorbed into the bed or fall out of alignment. Likewise, stomach sleepers can find the support they need to keep their hips from digging down too deep and extending their spine out of a neutral position. Side sleepers need to have a mattress that can accommodate condensed pressure in smaller areas. The Plus’ top layers provide a good level of pressure relief so side sleepers will stay comfortable throughout the night. Lightweight sleepers may need to consider a softer firmness level than the Plus since it will feel firmer for them. Motion transfer can be important based on a few factors. If a person is a light sleeper and has pets jumping onto the bed or a partner who tosses, turns, or gets up at night, it can be crucial. Whereas connected coil beds do not fare so well with motion isolation, the Plus performs well. This is because its coils are pocketed, or individually covered, which minimizes motion transfer. Even though there is bounce to the bed, movement is isolated. While edge support is not a deciding factor for everyone when purchasing, it is amazing on the WinkBed Plus. Whether lying or sitting on the edge, there is very minimal compression and incredible support. This is great if you need to use the maximum surface area or sit on the edge frequently. The superior edge support is due to a thick encasement of 1.5-lb density foam wrapped around the outside of the bed. Trial Period – 120-night risk-free trial. “Any Reason” 50% Off Lifetime Replacement Guarantee – Needs change so the company wants to make sure you’re covered in the event that your firmness requirements change down the road. After the 120-day trial and for as long as you own the bed, you can replace your current WinkBed with a new model for 50% of the cost of a brand new product. You can choose to do this whenever you’d like, but the offer is good only once per household. Optional White Glove Delivery Service – For an additional $99, WinkBed Plus will be delivered to your home by a professional crew who will set it up for you. White glove service with old mattress removal is $159. coolControl™ Options – If you choose to get this base, WinkBeds’ patented system conditions air and moves it through the bed to keep you comfortable all night long. CertiPUR-US® Certified – Foam layers meet the CertiPUR-US® standard, meaning that their manufacturing process avoids harmful materials such as lead, mercury, and formaldehyde. OEKO-TEX® Standard 100, Class 1 certified – This certification for Tencel used in the cover has been evaluated and deemed safe for use in sleeping products and those used for children. Made in the USA – Mattresses are made to order in their Wisconsin factory. WinkBed’s quality design and support make it an exceptional option for heavier folks. WinkBeds’ luxury Plus mattress caters to every need of heavier individuals. If you are over 250 pounds, we highly recommend checking out this model.Its hybrid design has individually wrapped coils that provide support and foam and latex layers provide ample pressure relief and durability. WinkBed’s optional cooling foundation shows true innovation in the industry. With the 120-night risk-free trial, a cost one-third of comparable in-store brands, and raving customer reviews, there are plenty of reasons to give this brand a try. Hi. Does the WinkBed Plus mattress sleep cool with the normal foundation? Yes; it should sleep cool with any foundation. This version isn’t coil-on-coil, though, is it? Is the latex used instead similarly comfortable for contouring purposes, just more durable? Are the pocketed coils the same as in the regular models? It’s the same model (structure) but thicker (higher) with latex and generally more support for heavier people. It’s triple-zone pocketed coil system. Can the Plus be used on adjustable frames? You certainly can. All Winkbeds models are compatible with any brand of adjustable bases. I am trying to decide on the Wink Bed Firm or the Plus. Based on my below particulars, what would you recommend? Thanks in advance for your help. Hi Ray. This is a tough call, as both are great beds. WinkBed Plus has slightly more foam, but it’s latex, which is temperature neutral. You should experience a gentle cradle in each, but the latex might be a nice call for pressure relief when sleeping on your side. Go for it! This company does offer a sleep trial, so you could exchange the bed if you don’t think you made the right call. I am 6’3” and 260 lbs. My wife is 5’4” and 120 lbs. Any advice on the best firmness compromise? Worries that the Plus will be too firm for my wife. There’s a lot of latex on top of the Plus, and our 150 pound reviewer really liked it. It would really depend a lot on your sleep styles, and I’d need more information to give you a definitive answer. However, if you’re concerned, you may look at brands that offer “split comfort” as they’d allow you to select a firmness for each side of your bed, eliminating the need to compromise. 🙂 Thanks so much for reaching out. I hope this helps! You can not use this mattress if you are allergic to latex right? Hi Pam. It really depends on the severity of your allergy. Your skin will not come into contact with the latex in this bed, and for most people, that’s what really will cause irritation. Discuss your allergy with your doctor to see where you fall on the spectrum. Best of luck!